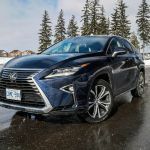 The Lexus RX 350 is an important vehicle for Toyota, as it represents one in every two Lexus SUVs sold, and one in every three Lexus vehicles overall. 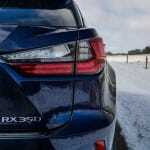 Lexus was presented with a tough task back in 2015 when it was designing the fourth generation Lexus RX, a car that has become a staple in the mid-size luxury SUV market. On one hand, the Lexus brand is moving towards a more youthful image to attract younger buyers, and on the other, it cannot afford to be too radical with its design and potentially turn away established buyers. 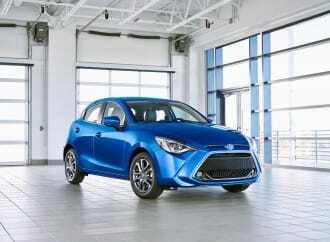 Fortunately, Toyota knew what they were doing and came up with a design that is both youthful yet traditional and we have borrowed one for road test this week to see how it holds up 3 years after its debut. 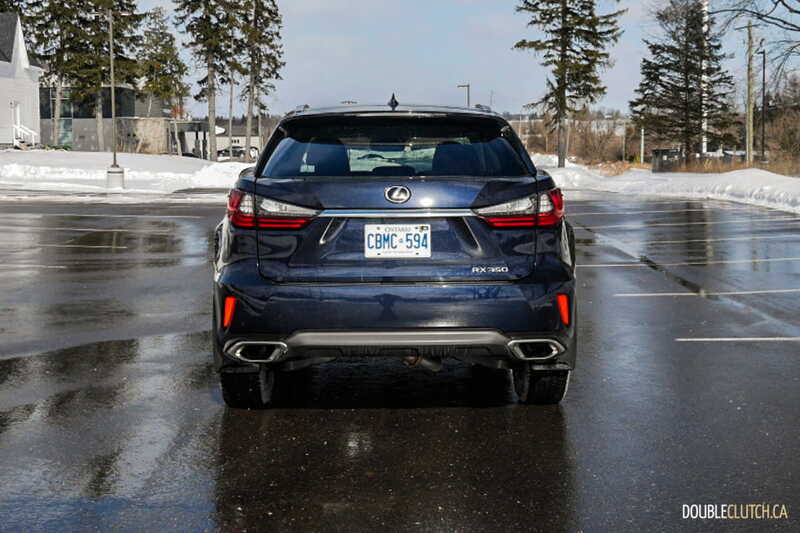 Our 2019 Lexus RX 350 AWD tester arrived painted in an elegant Nightfall Mica colour that looks navy blue under the sun. 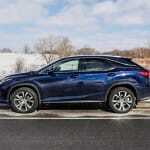 The blue colour is interesting as a welcomed change from the sea of black or white Lexus RXs in every parking lot. 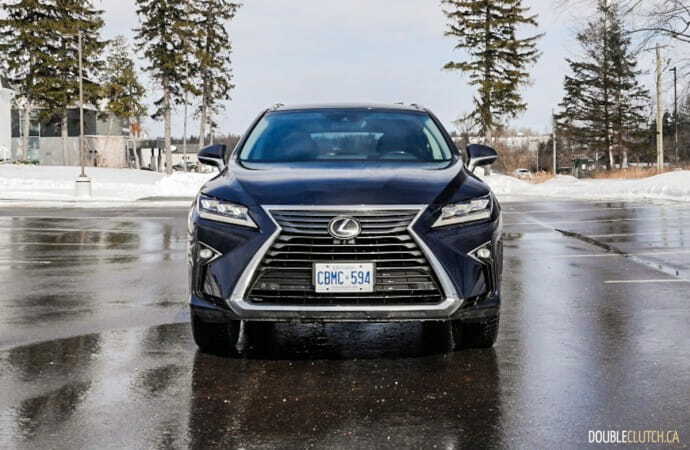 The RX350 features Lexus’ L-Finesse design language with lots of sharp angles and edges starting with the signature Lexus grille. 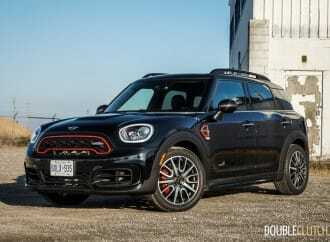 A pair of striking LED headlamps and an interesting C-pillar design make it look like the roof is separate from the body, and the RX has a trunk design that contains the outline of the grille’s shape. 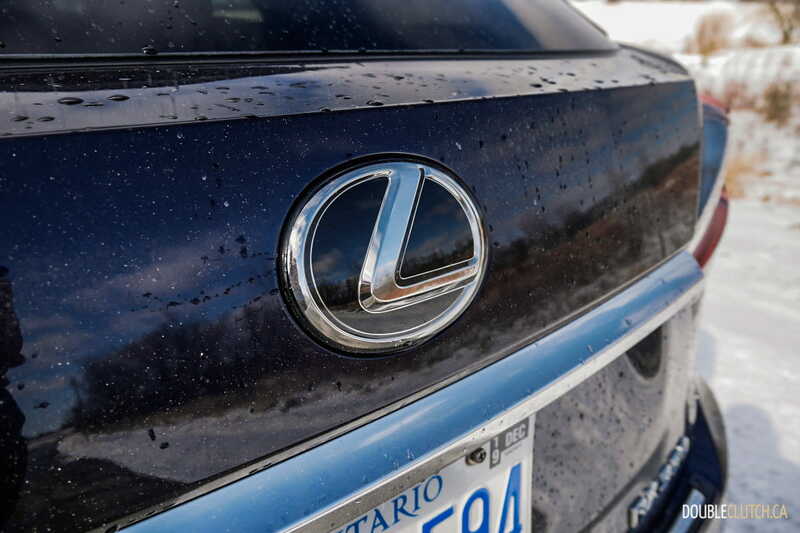 Lexus designers have purposely incorporated variations of the “L” shape around the RX 350, creating a cutting-edge style. 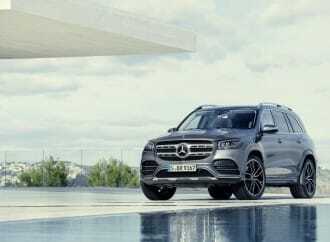 The 3.5-litre V6 engine with Dual Variable Valve Timing with Intelligence (VVT-i) and an eight-speed automatic transmissions are carried over from last year’s model, which is a good thing as this combination excellent. 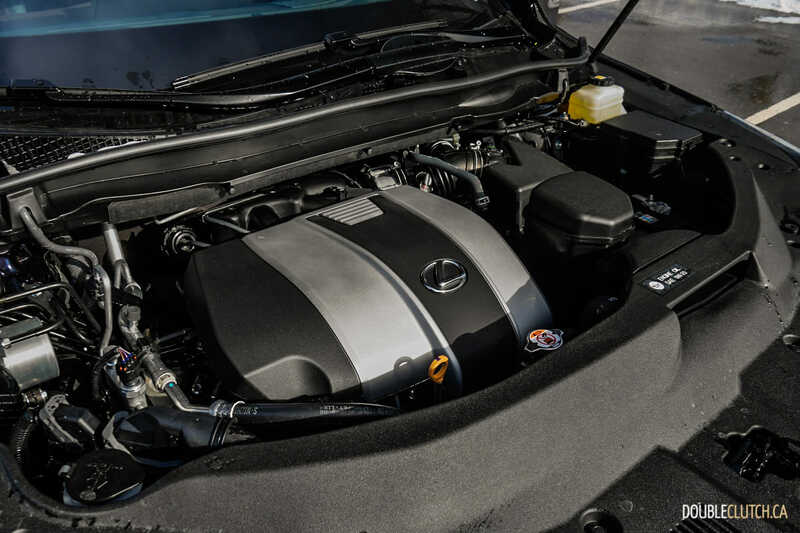 The RX 350 produces 295 horsepower at 6,300RPM, and 268 lb-ft. of torque at 4,700RPM. 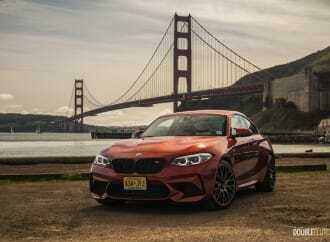 The torque figure might look peaky when compared to SUVs equipped with modern turbocharging technology, but there is something special in the way a naturally aspirated V6 engine performs in real world driving situations. Power comes on instantaneously, remains linear, and there is no drop off in power all the way through the rev band. 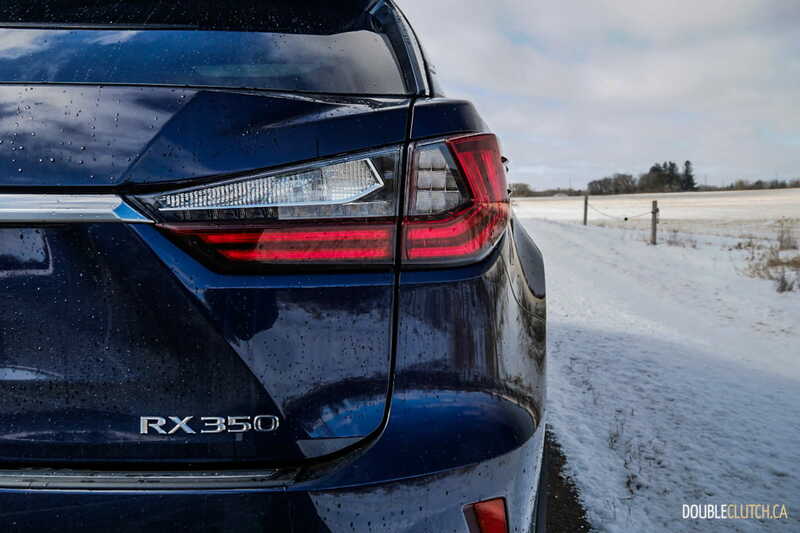 The RX 350 is all-wheel drive with three distinct driving modes (Sport, Normal, and Eco), and it comes with hill-start assist for added peace of mind. 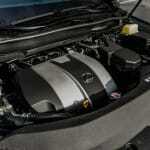 Fuel economy is rated at 12.2L/100km in the city, 9.0L/100km on the highway, and 10.8L/100km combined. We observed a slightly above-average 13.0L/100km during my week of city commute, which I blame on the extensive use of heating in the cabin to get through the winter weather. For those who are frequently on the road with a heavily city-biased commute, an optional hybrid powertrain is available with the RX 450h. 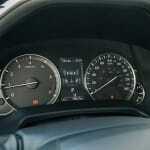 The RX 350 will accept 72.5 litres of fuel. 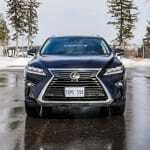 Ride quality is the RX 350’s best attribute. 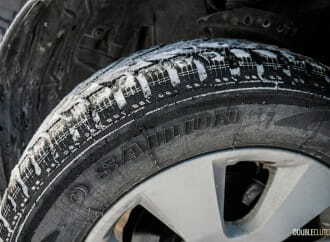 It is silky smooth and the RX’s suspension soaks up all the bumps on the road nicely. 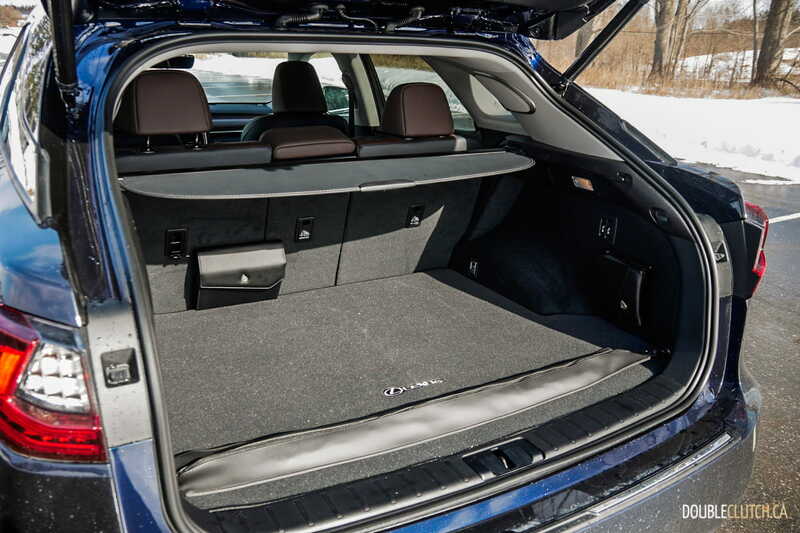 The 10-way power adjustable, heated and ventilated front seats are comfortable, and there is plenty head and legroom for all five passengers. The cabin feels airy thanks to the panoramic glass roof, and overall is an excellent place to spend hours in for extended road trips. 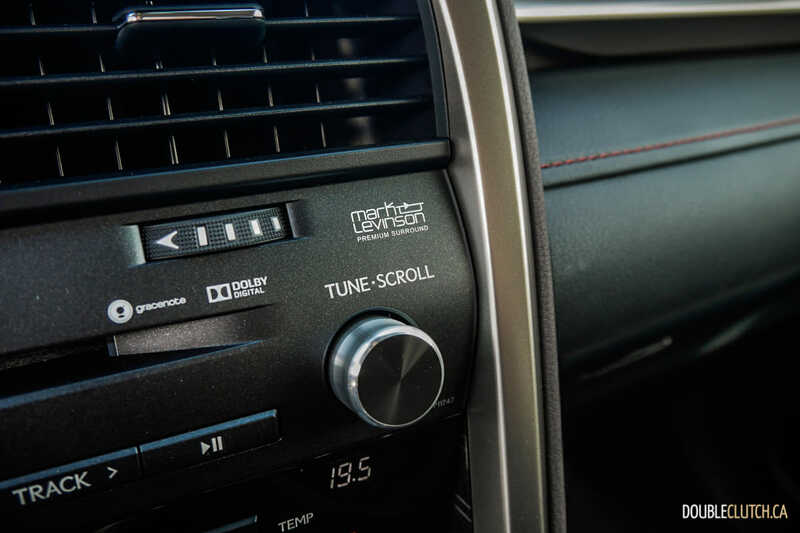 The RX 350 is equipped with excellent sound deadening and double-pane glass, so wind and road noises are kept to a minimal with only engine sounds transmitted into the cabin. 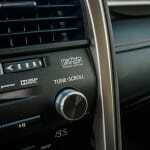 Lexus has always been one of the class leaders when it comes to interior materials, and the RX 350 is no exception. 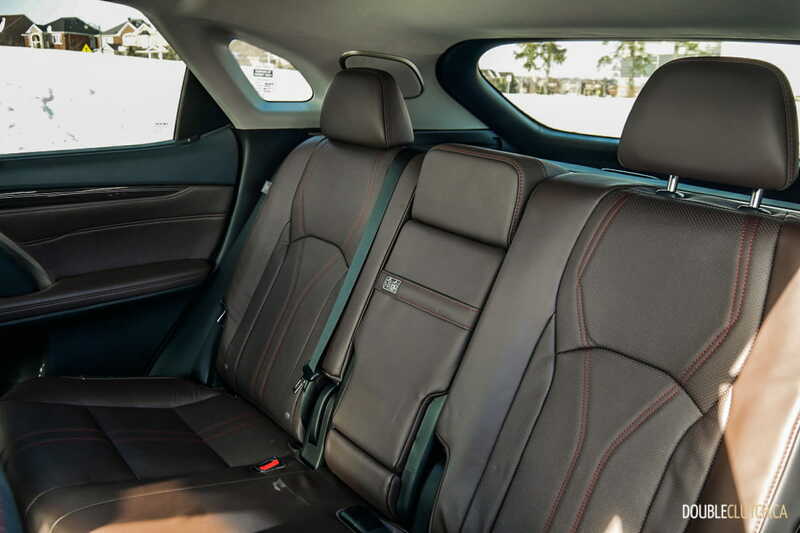 Every surface feels premium, the leather is smooth and almost every trim piece is upholstered with soft touch materials. Lexus likes to use both woodgrain and leather for their steering wheels on their upscale models, and our RX 350 was equipped with one as part of the Executive Package. 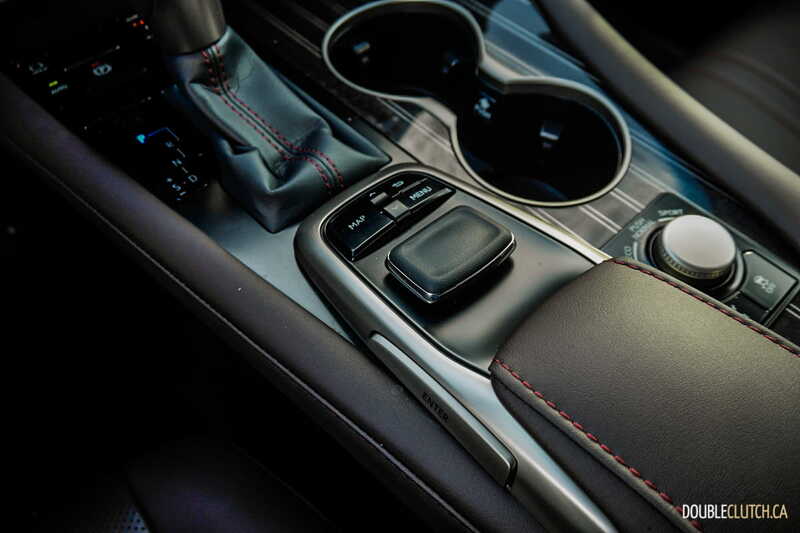 The rest of the interior is equally trendy, with brown leather, contrast stitching, and woodgrain finishes throughout the cabin. 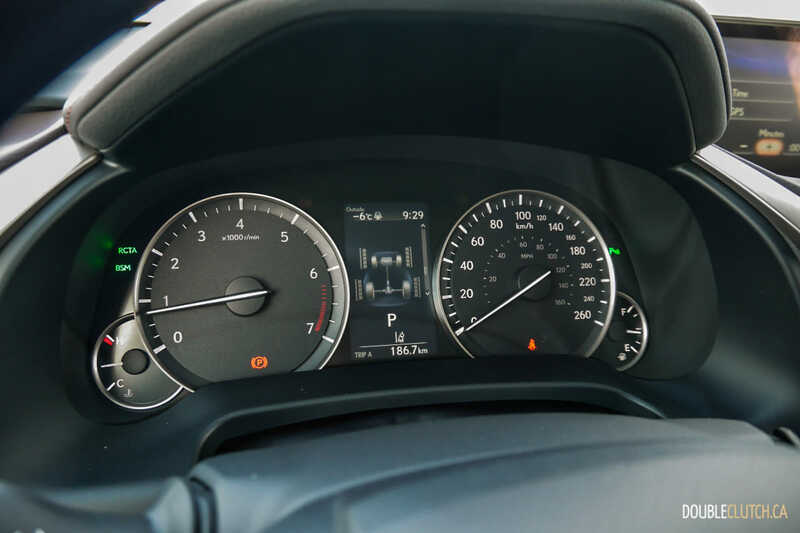 An analog clock sits in the middle of the centre console, offering a touch of elegance to the vehicle, but I would have liked for the large 12.3″ Electro Multi Vision (EMV) display to show a digital clock on the home screen as well. 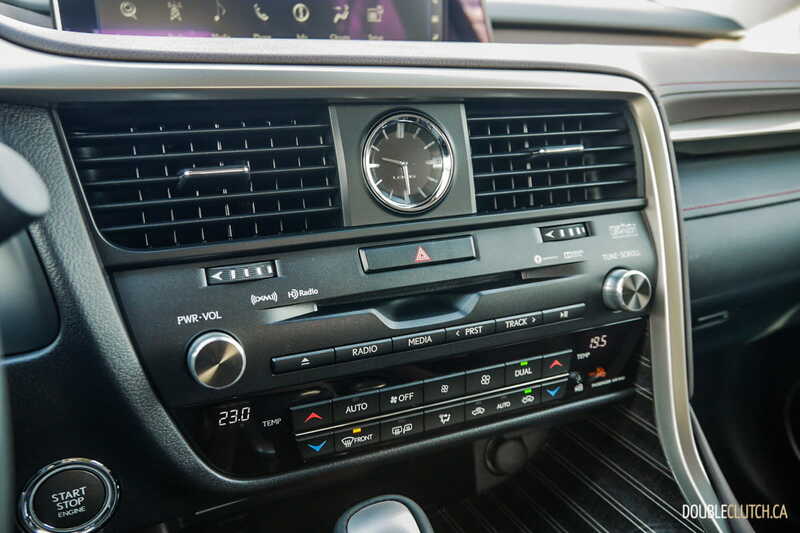 The 12.3″display houses the Lexus infotainment system and unfortunately, the usability of this infotainment is frustrating and requires not only patience but attention away from the road. 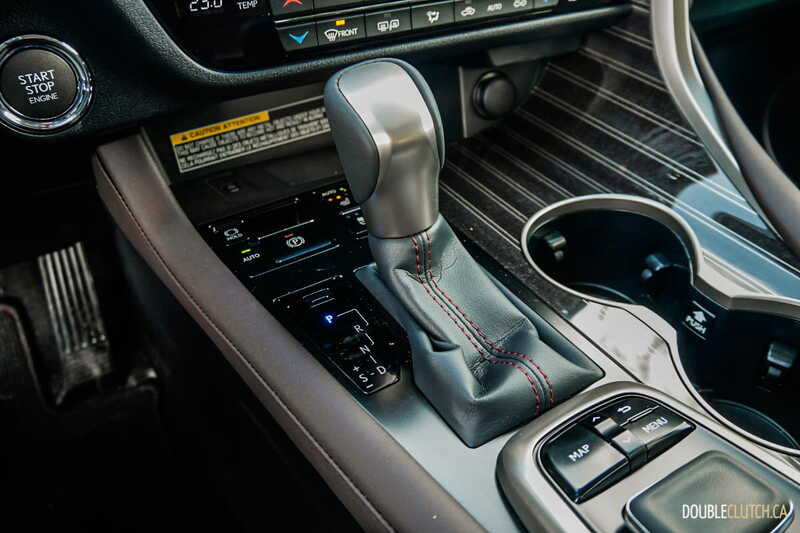 Drivers can enter commands using the joystick behind the shifter, and it works like a computer, dragging the pointer across the screen to various onscreen buttons. 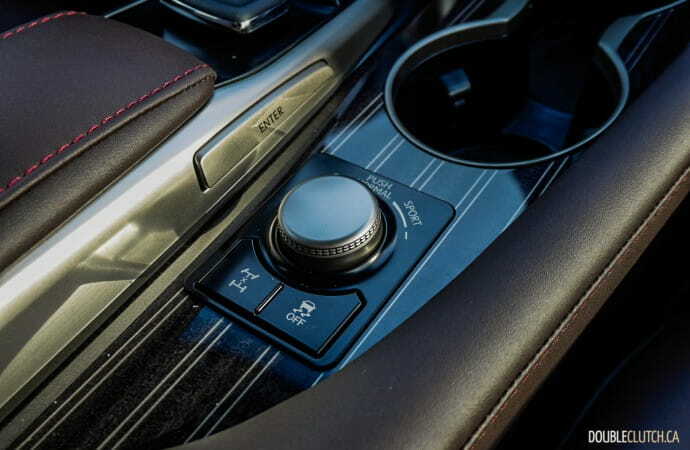 To help with the experience, there is haptic feedback on the joystick, and the cursor will also jump from one button to an adjacent one without having to move it across. 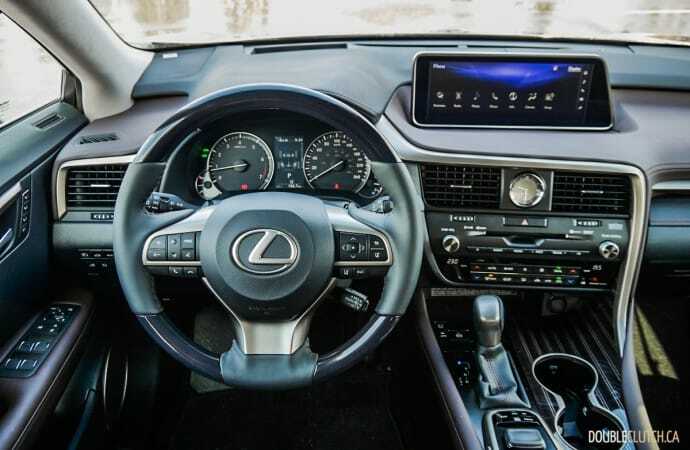 Lexus has finally started to equip its vehicles with Apple CarPlay starting in its 2019 models, but the RX has not received the update yet and Android users are still left waiting to be connected. 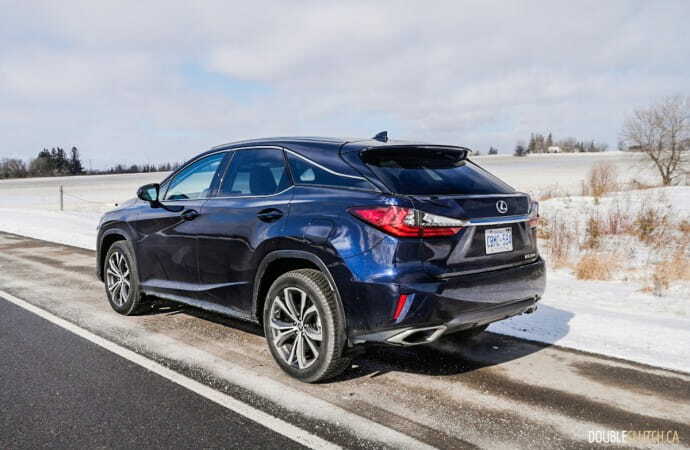 Safety is a priority with Toyota and the Lexus RX comes standard with the full suite of the Lexus Safety System, which includes Pre-Collision System, Lane Departure Alert, Automatic High Beam, Dynamic Radar Cruise Control, Blind Spot Monitor, Rear Cross Traffic Alert systems. 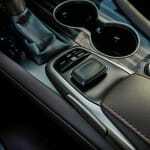 The systems work well, are easy to use and incorporated seamlessly into the driving experience. It’s refreshingly nice to see that it is included as standard across all trims. 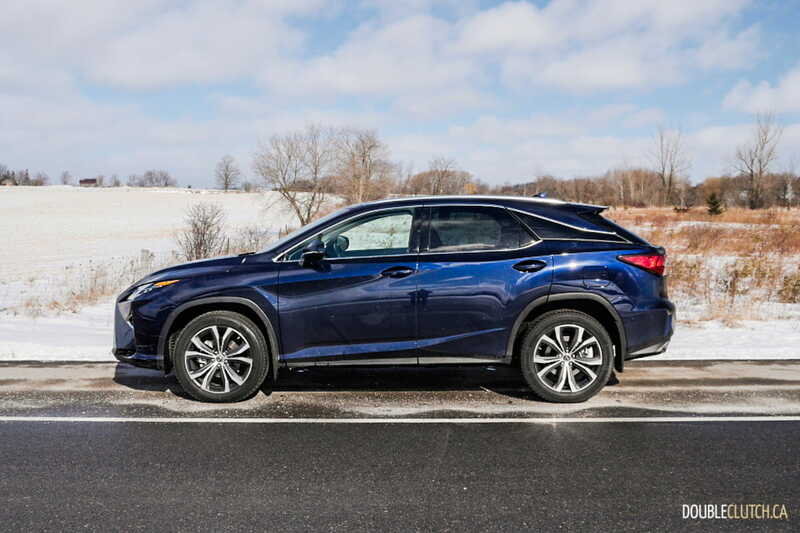 The 2019 Lexus RX 350 starts at $55,350, and our test vehicle is equipped with an Executive Package for $13,250. 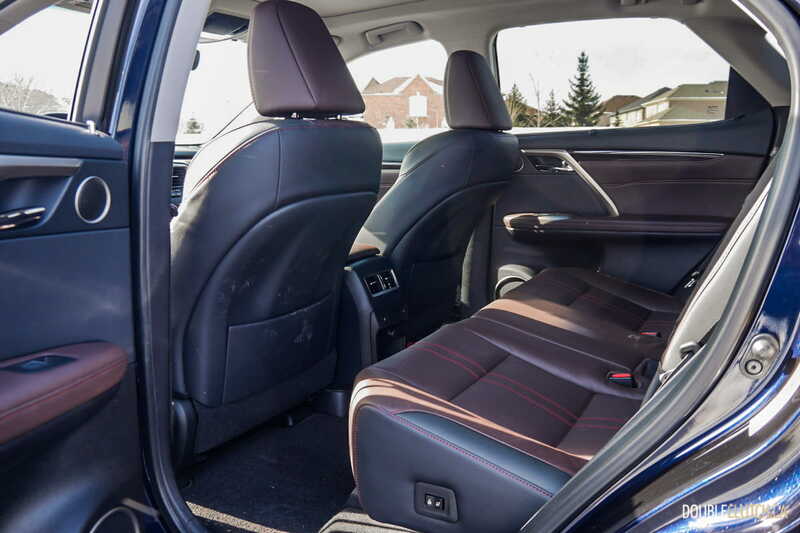 This package includes a 15-speaker Mark Levinson stereo, powered rear lift gate, Rear Sunshade, Head-Up Display, 20″ wheels, premium leather with 10-way power adjustable front seats and power recline and folding rear seats. 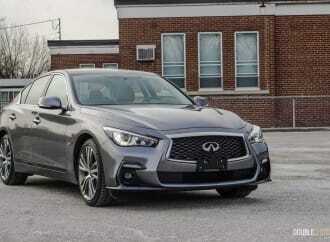 That puts the as-tested price at $68,600, and it competes head-to-head against the likes of Acura MDX (reviewed here) and the Cadillac XT5. The RX 350 is a bit pricier than its competition but offers a better ride with a more premium cabin. 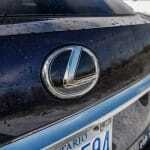 For those who are looking for a three-row version, Lexus started to offer its 7-seat RX 350L, starting at $66,050. 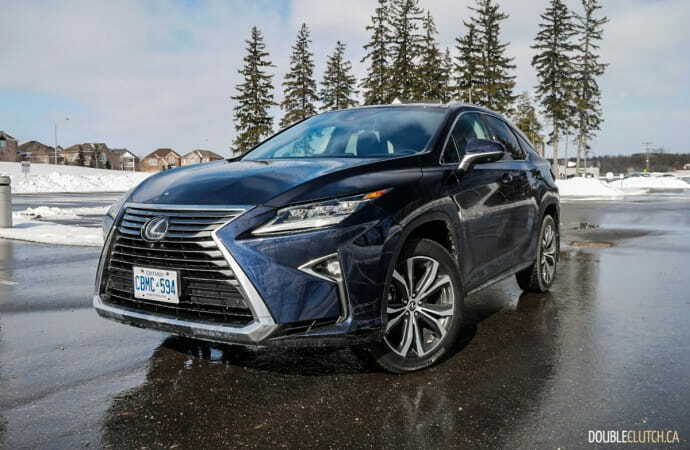 The Lexus RX continues to be a strong player in the luxury crossover market, and the 2019 RX 350 is an excellent choice for car buyers looking for a comfortable family hauler. It drives and handles admirably, and for those who like to “set-it-and-forget-i”t with their infotainment, the Lexus RX 350 would be worth consideration. 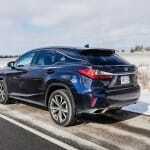 The Lexus’ bulletproof reliability is a real bonus for the long haul for the family, and it will continue to be a volume seller for the Lexus brand until the next generation comes about.